14 posts on " Bank Capital"
Nonfinancial corporations focus on the growth in earnings per share (EPS) to benchmark their performance. Banks used to follow a similar practice, but starting in the late 1970s they began to emphasize return on equity (ROE) instead. In this blog post, we outline findings from our recent staff report, which argues that banks had an incentive to make this change when their charter values eroded owing to increased competition, and the incentive to change was magnified by risk-insensitive deposit insurance. Banks contend that equity capital is expensive and that an increase in capital requirements will adversely impact bank services, including the volume and cost of mortgages and corporate loans. For example, JPMorgan CEO Jamie Dimon said in 2017 that “It is clear that the banks have too much capital…and more of that capital can be safely used to finance the economy.” In a recent staff report, we compare the different treatments of short-term credit commitments under the Basel I and Basel II Accords to assess the effect of capital regulation on banks’ cost of capital. In response to the financial crisis nearly a decade ago, a number of regulations were passed to improve the safety and soundness of the financial system. In this post and our related staff report, we provide a new perspective on the effect of these regulations by estimating the cost of capital for banks over the past two decades. We find that, while banks’ cost of capital soared during the financial crisis, after the passage of the Dodd-Frank Act (DFA), banks experienced a greater decrease in their cost of capital than nonbanks and nonbank financial intermediaries (NBFI). How Do the Fed’s MBS Holdings Affect the Economy? In our previous post, we discussed the meaning of the term “credit allocation” and how it relates to the Federal Reserve’s holdings of agency mortgage-backed securities (MBS). We concluded that the Fed’s MBS holdings do not pose significant credit risk but that the Fed does influence the relative market price of credit when it purchases agency MBS, and this indirectly influences decisions by investors. Today, we take the next step and discuss how the Fed’s MBS purchases affect the U.S. economy and, in particular, how the effect of MBS purchases can differ from the effect of purchases of Treasury securities. What Explains Shareholder Payouts by Large Banks? 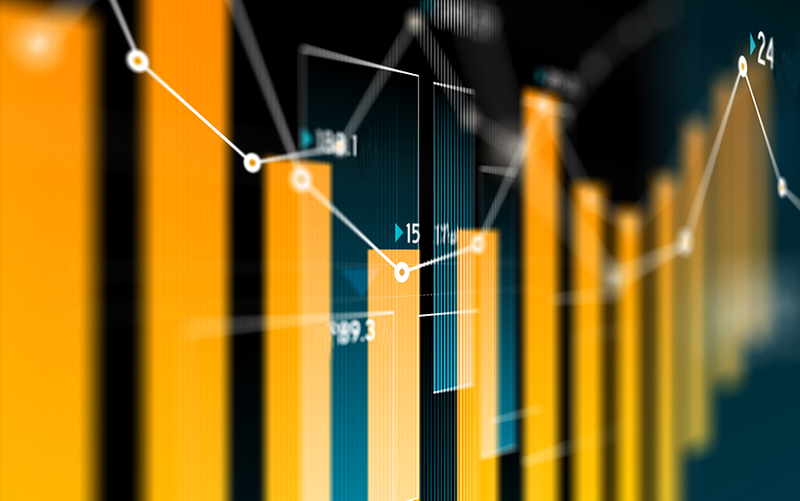 On June 28, the Federal Reserve released the latest results of the Comprehensive Capital Analysis and Review (CCAR), the supervisory program that assesses the capital adequacy and capital planning processes of large, complex banking companies. The Fed did not object to any of the banks’ capital plans, an outcome that was widely heralded as a signal that these banks would be able to increase payouts to their shareholders. And in fact, immediately following the release of the CCAR results, several large banks announced substantial increases in quarterly dividends and record-sized share repurchase programs. In this post, we put these announced increases into recent historical context, showing how banks’ payouts to shareholders have increased since the financial crisis and describing how CCAR has affected the composition of payouts between dividends and share repurchases. What Drives International Bank Credit? A major question facing policymakers is how to deal with slumps in bank credit. The policy prescriptions are very different depending on whether the decline is a result of global forces, domestic demand, or supply problems in a particular banking system. We present findings from new research that exactly decompose the growth in banks’ aggregate foreign credit into these three factors. Using global banking data for the period 2000-16, we uncover some striking patterns in bilateral credit relationships between consolidated banking systems and borrowers in more than 200 countries. The most important we term the “Anna Karenina Principle” of global banking: all healthy credit relationships behave alike; each unhealthy credit relationship is unhealthy in its own way. The 2007-09 financial crisis highlighted weaknesses in the over‑the‑counter (OTC) derivatives markets and the increased risk of contagion due to the interconnectedness of market participants in these markets. As a response, the global regulatory community introduced a number of reforms to both the market structure and the regulatory environment. The intent of these innovations was to improve the functioning of OTC markets but some market participants have suggested that some of the new regulations may have had unintended consequences. In this post, we discuss some key takeaways from a recent two-day conference on “Over‑the‑Counter Derivatives and Recent Regulatory Changes,” where policymakers, academics, practitioners, and other experts convened to discuss the evolution of OTC derivatives markets after the crisis. Japan’s general government debt-to-GDP ratio is the highest of advanced economies, due in part to increased spending on social services for an aging population and a level of nominal GDP that has not increased for two decades. The interest rate payments from taxpayers on this debt are moderated by income earned on government assets and by low interest rates. One might think that the Bank of Japan’s purchases of government bonds would further ease the burden on taxpayers, with interest payments to the Bank of Japan on its bond holdings rebated back to the government. Merging the balance sheets of the government and the Bank, however, shows that the asset purchase program alters the composition of public debt, with reserves in the banking system replacing government bonds, but not the amount of the debt taxpayers must pay interest on. Are BHCs Mimicking the Fed’s Stress Test Results? In March, the Federal Reserve and thirty-one large bank holding companies (BHCs) disclosed their annual Dodd-Frank Act stress test (DFAST) results. This is the third year in which both the BHCs and the Fed have published their projections. In a previous post, we looked at whether the Fed’s and the BHCs’ stress test results are converging in the aggregate and found mixed results. In this post, we look at stress test projections made by individual BHCs. If the Fed’s projections are very different from a BHC’s in one year, do the BHC projections change in the following year to close this gap? Or are year-to-year changes in BHC stress test projections driven more by changes in underlying risk factors? Evidence of BHCs mimicking the Fed would be problematic if it meant that the BHCs are not really independently modelling their own risks. Convergence poses a potential risk to the financial system, since a financial system with monoculture in risk measurement models could be less stable than one in which firms use diverse models that collectively might be more likely to identify emerging risks.